Groupe Vocals US formé en 1934 par Roy Blackwood, Doyle Blackwood, James Blackwood, R.W. Blackwood, Cecil Blackwood et James Blackwood Jr. Autes membres : Don Smith, Bill Lyles, Bill Shaw, J.D. Sumner, Hylton Griswold, Wally Varner, Billy ‘Mr. Gospel Drums’ Blackwood), Peter Kaups et Larry Davis. The Blackwood Brothers sang gospel for over 60 years, and from the 1950s to the '70s, they were one of the most popular gospel groups in the U.S. One of their biggest fans was a young Elvis Presley, who auditioned — and was turned down — for the group in 1953. The quartet was formed in 1934 by brothers Roy (b. December 24, 1900, Fentress, MS; d. March 21, 1971), Doyle (b. August 22, 1911, Ackerman, MS), and James Blackwood (b. August 4, 1919, Ackerman, MS; d. February 3, 2002, Memphis, TN), along with Roy's 13-year-old son R.W. Blackwood (b. October 23, 1921, Ackerman, MS; d. June 30, 1954, Clanton, AL). The Blackwoods sang at churches around their base of Ackerman, MS, during the mid-'30s. By 1937, however, they began working a radio show in Kosciusko, MS. The quartet moved to WJDX in Jackson later that year, singing pop and country in addition to gospel. After two years in Jackson, they were popular enough to move to KWKH in Shreveport, LA, a regional superstation that broadcast over much of the South. While working in Shreveport, the Blackwood Brothers were signed by V.O. Stamps, the largest Southern gospel publisher of the 1930s. The group worked for Stamps during the late '30s and early '40s, but broke up during World War II. When they re-formed in 1946 — without the Stamps affiliation — Doyle Blackwood had been replaced by Don Smith. 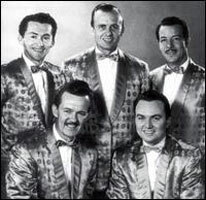 The Blackwoods began their own record company, and became so popular that Doyle soon returned to start another group, the Blackwood Gospel Quartet. By 1950, Roy had retired and was replaced by Bill Lyles. 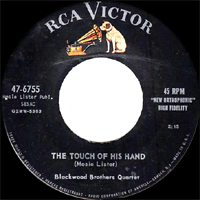 The Blackwoods then moved to Memphis and signed a contract with RCA Victor. They began recording in 1952, and the increased exposure led to national recognition and a spot on Arthur Godfrey's TV show in 1954. Less than a month later, however, R.W. Blackwood and Bill Lyles were killed in a plane crash. The Blackwoods immediately disbanded and vowed to never perform again. Fortunately, they returned several years later, gradually adding J.D. Sumner (as a replacement for Lyles) plus Roy's son Cecil Blackwood (b. October 28, 1934, Ackerman, MS; d. November 13, 2000) and James' son Jimmy Blackwood (b. July 31, 1943, San Diego). The Blackwoods entered the LP era during the mid-'50s and eventually recorded many albums for RCA and Skylite throughout the 1950s and '60s. They won the first of their eight Grammy Awards for Best Gospel Performance in 1966, and James Blackwood won seven Dove Awards for Male Vocalsist of the Year during the '70s. He was inducted into the Gospel Music Hall of Fame in 1974 and was known as "Mr. Gospel Singer of America" for years thereafter. Talents : Roy : Baritone Vocalss - Doyle : Bass Vocalss - James : Lead Vocalss - R.W. : Tenor Vocalss - Cecil : Baritone Vocalss - James Jr. : Baritone, Lead Vocalss - Autres membres : Don Smith : Bass Vocalss - Bill Lyles : Bass Vocalss - Bill Shaw : Tenor Vocalss - J.D. Sumner : Bass Vocalss - Hylton Griswold : Piano - Wally Varner : Piano - Billy ‘Mr. Gospel Drums’ Blackwood : Drums - Peter Kaups : Piano - Larry Davis : Bass Guitar. 1954 78 t. RCA VICTOR 20-5781 (US) BLACKWOOD BROTHERS QUARTET - The Man Upstairs / How About Your Heart? 1954 SP RCA VICTOR 47-5781 (US) BLACKWOOD BROTHERS QUARTET - The Man Upstairs / How About Your Heart? 1976 SP CAPITOL 4302 (US) R.W. BLACKWOOD & The BLACKWOOD SINGERS - Sunday Afternoon Boat Ride In The Park On The Lake / ? 1978 SP CAPITOL 4346 (US) R.W. BLACKWOOD & The BLACKWOOD SINGERS - Memory Go Round / ? 1978 SP SCORPION 0561 (US) R.W. BLACKWOOD - Dolly / ? Favorite Gospel Songs and Spirituals - Take My Hand / Precious Lord / Wanta Rest / Peace In The Valley / It Is No Secret / He Bought My Soul At Calvary / My Journey To The Sky / Mansion Over The Hilltop / Swing Down Chariot - (James Blackwood, R W Blackwood, Dan Huskey, Bill Lyles & Jack Marshall). 1956 LP 12" RCA VICTOR LPM-1255 (US) HYMN SING - I Saw A Man / He Knows Just What I Need / Heavenly Love / Wonderful Savior / I Wanta Go There / I Don't Mind / I Just Can't Make It By Myself / Stop And Pray / Inside The Gate / The King And I Walk Hand In Hand / I Bowed On My Knees And Cried Holy / Wonderful - (James Blackwood, J D Sumner, Cecil Blackwood, Bill Shaw & Jack Marshall). 1956 LP 12" RCA VICTOR LPM-1351 (US) FAVORITE GOSPEL SONGS AND SPIRITUALS - Take My Hand Precious Lord / My Journey To The Sky / The Love Of God / Swing Down Chariot / It Is No Secret / Wanta Rest / Peace In The Valley / Everywhere He Went / The Hand Of God / Oh, What A Time / Mansion Over The Hilltop / He Bought My Soul At Calvary - (James Blackwood, R W Blackwood, Bill Lyles, Dan Huskey, Jack Marshall & Bill Shaw). 1957 LP 12" RCA VICTOR LPM-1488 (US) I’m Bound For That City - He Lifted Me From Sin / Peace Of Mind / Farther Along / Jesus Lifted Me / I'm Bound For That City / Give Me The Strength To Stand / Jesus Is Mine / No Tears In Mind / I Was There When It Happened / There's One / You Are The Finger Of God / I Will Lift Up Mine Eyes Unto The Hills - (Cecil Blackwood, J.D. Sumner, Bill Shaw, James Blackwood & Jack Marshall). 1958 LP 12" RCA VICTOR LPM-1705 (US) HIS HANDS - God Made A Way / His Hands / I'm Happy And Free / Gentle Hands / I'll Follow Where He Leads / Inside Your Heart / Invisible Hands / He's My King / I'm Free / Tho' I'm Unworthy / On The Other Side Of Jordan / Take Me Home - (Cecil Blackwood, J.D. Sumner, Bill Shaw, James Blackwood & Jack Marshall). 1959 LP 12" RCA VICTOR LPM-1892 (US) THE STRANGER OF GALILEE - The Stranger Of Galilee / Amazing Grace / Tell Someone About Jesus / Shall I Crucify Him? / Who Is That ? / The Old Rugged Cross / Sweet Peace / What A Friend : Medley : The Last Mile Of The Way - When I Make My Last Move - When I Take My Vacation In Heaven / Rock Of Ages / When I'm Alone / Whispering Hop - (Cecil Blackwood, J.D. Sumner, Bill Shaw, James Blackwood & Jack Marshall). 1959 LP 12" RCA VICTOR LSP-2033 (US) PARADISE ISLAND - Beyond God’s Horizon / Paradise Island / My Lord Goes With Me / Land Called Heaven / Dreams Of Tomorrow / He Will See You Through / Each Step I Take / Behind Your Tears / My All I Give / Do You Know My Jesus? / Do You Go To Church? / Pay As You Go - (Cecil Blackwood, J.D. Sumner, Bill Shaw, James Blackwood & Jack Marshall). 1959 LP 12" RCA CAMDEN CAL-544 (US) THE BLACKWOOD BROTHERS - Take A Look In The Book / Christ Is A Wonderful Saviour / At The End Of The Trail / He Knows Just How Much You Can Bear / My Saving King / The Soul Spangled Banner / The Lord Is A Busy Man / The Workshop Of The Lord / I Don,t Care What The World May Do / Will Heaven Be Heaven Without You / How Many Times / If I Pray - (Cecil Blackwood, J.D. Sumner, Bill Shaw, James Blackwood & Jack Marshall). 1959 LP 12" SKYLITE SRLP-5966 (US) GIVE THE WORLD A SMILE - A Beautiful Life / Just A Closer Walk With Thee / Looking For A City / Peace Like A River / Tell My Friends / Where Could I Go / Over The Moon / That Glad Reunion Day / Life's Railway To Heaven / A Mail Order From Heaven / Give The World A Smile / I Want To Be More Like Jesus - (Cecil Blackwood, J.D. Sumner, Bill Shaw, James Blackwood & Wally Varner). The Blackwood Brothers In Concert - I'm Thankful / Not My Will / Hide Me Rock Of Ages / I Get Happy / I Wouldn't Trade / How Great Thou Art / Never / Then I Met The Master / Dear Lord Remember Me / The Devil Can't Harm A Praying Man / He's All That I Need / What A Morning - (Cecil Blackwood, J.D. Sumner, Bill Shaw, James Blackwood & Wally Varner). 1960 LP 12" RCA VICTOR LPM-2248 (US) BEAUTIFUL ISLE OF SOMEWHERE - Eternal Paradise / On That Happy Golden Shore / I'll Be True / I Want To Meet You Up In Heaven / I Found God / Heaven For Me / Aloha Time / A Land Where Milk And Honey Flows / Jesus Fills My Every Need / Paradise Valley / What A Glorious Morning That Will Be / Beautiful Isle Of Somewhere - (Cecil Blackwood, J.D. Sumner, Bill Shaw, James Blackwood & Wally Varner). 1960 LP 12" SKYLITE SSLP-5967 (US) SUNDAY MEETIN TIME - Savior Gently Take Me Home / Sunday Meetin' Time / It Took A Miracle / Just A Little Talk With Jesus / Lord Keep Your Hand On Me / Everyday Will Be Sunday / Where No One Stands Alone / I Am A Pilgrim / How Long Has It Been / In My Father's House / I Shall Be At Home With Jesus / He's Everywhere - (Cecil Blackwood, J.D. Sumner, Bill Shaw, James Blackwood & Wally Varner). Statesmen-Blackwood Favorites - Lead Me To That Rock / I'm Bound For The Kingdom / This World Is Not My Home / He'll Understand And Say Well Done / Rolling Riding Rocking / What A Friend We Have In Jesus / My Heavenly Father Watches Over Me / Goodbye World Goodbye / Somebody Bigger Than You And I / The Love Of God / Just A Closer Walk With Thee / When The Saints Go Marching In - (BLACKWOOD BROTHERS & The STATESMEN). 1961 LP 12" RCA VICTOR LPM-2300 (US) THE BLACKWOOD BROTHERS ON TOUR - Crossing Chilly Jordan / Because Of Him / Bell Of Joy Keep Ringing / Because Of The Love Of The Lord For Me / Happy People / When I Stand With God / Some Wonderful Day / Only Believe Him / The Prodigal Son / Dear Jesus Abide With Me / Pablo / The Old Country Church - (Cecil Blackwood, J.D. Sumner, Bill Shaw, James Blackwood & Wally Varner). 1961 LP 12" RCA VICTOR LPM-2397 (US) THE PEARLY WHITE CITY - The Way Of The Cross / In Times Like These / Something Took Hold Of Me / What A Homecoming Day / These Drops Of Blood / Sorrow Not / Until Then / To Tell About His Love / Childhood Memories / To Me, He's Everything / If You Know The Lord / Pearly White City - (Cecil Blackwood, J.D. Sumner, Bill Shaw, James Blackwood & Wally Varner). 1962 LP 12" RCA VICTOR LPM-2506 (US) PRECIOUS MEMORIES - I Feel Like Traveling On / Is It Well With Your Soul / For I've Got The Lord / There Is A Change / I'll Keep Walking In The King's Highway / I Dreamed I Searched Heaven For You / Sing Your Blues Away / Way Down Deep In My Soul / I Know The Lord / It's Just Like Heaven / I Do Dear Jesus I Believe / Precious Memories. 1962 LP 12" RCA VICTOR LSP-2585 (US) 25 YEARS - THE SILVER ANNIVERSARY ALBUM - Joyfully I'll Travel On / When The Clouds Roll By / Heaven / My Nonstop Flight To Glory / I Could Never Tell You / He'll Be There / In That Land / Keep Me / Take A Moment And Live / Let Him In / One Day / Mammy's Boy - (Cecil Blackwood, Bill Shaw, James Blackwood, Wally Varner & J.D. Sumner). James Blackwood & The Blackwood Brothers Combine With Hovie Lister & The Statesmen to Wish You a Musical Merry Christmas - O Come, All Ye Faithful (BLACKWOOD & The STATESMEN) / Silver Bells (BLACKWOOD BROTHERS) / Go Tell It On The Mountain (STATESMEN) / Praises To Our King (BLACKWOOD BROTHERS) / White Christmas (STATESMEN) / Christmas Means Christ To Me (BLACKWOOD BROTHERS) / Joy To The World (BLACKWOOD BROTHERS & The STATESMEN) / Christmas Time Is Here (STATESMEN) / O Little Town Of Bethlehem (BLACKWOOD BROTHERS) / Away In A Manger (STATESMEN) / O Holy Night (BLACKWOOD BROTHERS) / Silent Night (STATESMEN). 1962 LP 12" SKYLITE SSLP-5995 (US) AT HOME WITH THE BLACKWOODS - I'm Free Again / What A Savior / He / When God's Chariot Comes / The Love Of God / Lord, Build Me A Cabin In Glory / Sing, Be Happy / Beyond The Sunset / Give Me Time / There's A God Somewhere / 'Tis Wonderful To Me / When They Ring Those Golden Bells - (Cecil Blackwood, J.D. Sumner, Bill Shaw, James Blackwood & Wally Varner). 1963 LP 12" RCA VICTOR LSP-2646 (US) ON STAGE ! - I Want To Know More About My Lord / It Don't Mean A Thing / Wait Awhile / Old Time Religion Song / Lord, Teach Me How To Pray / He Means All The World To Me / I Will See Him There / Camp Meetin' Time / I Never Knew Till Now / He'll See You Through / Somebody Loves Me - (Cecil Blackwood, J.D. Sumner, Bill Shaw, James Blackwood & Wally Varner). 1963 LP 12" RCA VICTOR LSP-2752 (US) THE BLACKWOOD BROTHERS QUARTET FEATURING THEIR FAMOUS BASS J.D. SUMNER - I've Got To Walk That Lonesome Road / Jesus Is The Reason / I Shall Arise / Precious Is He To Me / It Must Be The Man In The Sky / Back Home / There's A Light / Jesus Cared For Me / Lord, Send Me / I Must Have Jesus / Victory Road / Today I've Been With Jesus - (Cecil Blackwood, J.D. Sumner, Bill Shaw, James Blackwood & Wally Varner). GIVE US THIS DAY - Give Us This Day / I've Got It (You Can Have It) / Someone To Care / Angels Watches Over Me / Led By The Master's Hand / Live Right, Die Right / Walking In The Light / Jesus Holds The Keys / Footprints Of JEesus / Brush The Dust Off The Bible / Jesus The Way Maker / For My Good Fortune - (Cecil Blackwood, Bill Shaw, James Blackwood, J.D. Sumner, Jackie Marshall & Wally Varner). 1964 LP 12" SKYLITE SSLP-6026 (US) THE BLACKWOOD FAMILY ALBUM - I Can Tell You The Time / Do You Know Him / I Need The Prayers / Well Done My Child / I've Had A Talk With Jesus / Echoes Of The Past / This Little Light Of Mine (Little BLACKWOODS) / The Devil's Gonna Get You (Little BLACKWOODS) / I'll Be Ready (Junior BLACKWOODS) / Nobody (Junior BLACKWOODS) / At The Altar (Junior BLACKWOODS) / If I Follow - (BLACKWOOD BROTHERS : Cecil Blackwood, J.D. Sumner, Bill Shaw, James Blackwood & Wally Varner). 1964 LP 12" RCA VICTOR LSP-2838 (US) THE BLACKWOOD BROTHERS QUARTET FEATURING JAMES BLACKWOOD - Roamin' River / Give Me The Mountain / I'll Never Walk Alone / Turn To The Lord / The Lord's Prayer / Medley : How Beautiful Heaven Must Be - The Unclouded Day - When I Get To The End Of The Day - I'll See You Over There / There Is A Higher Power / Nobody / Christ Is The Answer / Somebody Prayed For Me / Use Me / I Walked Today Where Jesus Walked - (Cecil Blackwood, J.D. Sumner, Bill Shaw, James Blackwood & Wally Varner). 1964 LP 12" RCA CAMDEN CAL-794 (US) GLORYLAND JUBILEE - A Wonderful Time Up There / How About Your Heart / Gloryland Jubilee / I Can't Stand Up Alone / I've Found The Way / The Touch Of His Hand / Something Old, Something New / One Step Toward The Lord / Good News / All Upon The Altar / Joy, Joy, Joy To My Soul / Suppertime - (Cecil Blackwood, J.D. Sumner, Bill Shaw, James Blackwood & Wally Varner). THE BLACKWOOD BROTHERS QUARTET PRESENT THEIR EXCITING TENOR BILL SHAW - The Angels Must Have Cried / Everybody Ought To Love / I Serve A Living God / I'm Gonna Walk, Talk And Sing / Only One Touch / The Holy City / Welcome To Glory Land / All I Do Is Ask The Lord / Down From His Glory / What A Wonderful Savior / My Wonderful God / Sunrise - (Cecil Blackwood, J.D. Sumner, Bill Shaw, James Blackwood & Whitey Gleason). 1965 LP 12" RCA VICTOR LSP-3439 (US) THE BLACKWOOD BROTHERS QUARTET FEATURING CECIL BLACKWOOD - Ol' Brother Noah / Above The Clouds / Close To The Master / The Sweetest Name I Know / Promise You'll Meet Me / From This Moment On / I'm Happy Now / Wonder Of Wonders / God Is Everywhere / Let Me Touch Him / Walk, Talk, And Live / I Will Never Walk Alone - (Cecil Blackwood, J.D. Sumner, Bill Shaw, James Blackwood & Whitey Gleason). DO YOU THANK THE LORD EACH DAY - Do You Thank The Lord Each Day? / Church Twice On Sunday / O Rock Of Ages / I Will Lean On His Arm / God Is Right / O Lord Hear My Prayer / When We Look On His Face / Paradise Awaits / He Will Deliver Us / Thank God For The Calvary - (Cecil Blackwood, J.D. Sumner, Bill Shaw, James Blackwood & Whitey Gleason). 1966 LP 12" RCA VICTOR LSP-3521 (US) HOW BIG IS GOD - How Big Is God / My Heart Is Reserved For The Lord / Tho I'm Unworthy / That Happy Feeling / His Name Is Wonderful / Because He Died / Somebody Touched Me / Undying Love / Our Troubles Will Be Over / He Has Surely Borne Our Sorrow / We Are On God's Side / Ten Thousand Angels - (Cecil Blackwood, Bill Shaw, James Blackwood, Whitey Gleason & John Hall). 1966 LP 12" RCA VICTOR LSP-3625 (US) THE SOUND OF GOSPEL MUSIC - I Asked The Lord / Forever And Ever / No One Cared So Much / Everybody's Gonna Love Everybody / I Know My Lord Will Walk With Me / May The Good Lord Bless And Keep You / Climb Every Mountain / Wherever I Go / The Christ Of Every Crisis / There Is This Need / Faith Can Work Miracles / America The Beautiful. 1967 LP 12" RCA CAMDEN CAS-2115 (US) WITH A SONG ON MY LIPS (AND A PRAYER IN MY HEART) - With A Song On My Lips / Without Him / God Is Alive / Heaven Came Down And Glory Filled My Soul / What A Day That Will Be / Brighten The Corner Where You Are / He Touched Me / There's No Other Way / Take The Hand Of The Lord / All The Way - (Bill Shaw, James Blackwood, Cecil Blackwood, John Hall & David Weston). 1967 LP 12" RCA VICTOR LSP 3868 (US) THE BEST OF THE BLACKWOOD BROTHERS QUARTET - VOLUME 2 - Ole Brother Noah / Ten Thousand Angels / Aloha Time / His Grace Reaches Me / Deep Is The River / I Get Happy / I Feel Like Traveling On / Until Then / From This Moment On / The Holy City / Pablo / Climb Every Mountain. 1968 LP 12" SKYLITE LP-6044 (US) IT IS NO SECRET - THE BLACKWOOD BROTHERS QUARTET WITH STRING ENSEMBLE - Peace In The Valley / Beyond The Shadows / More About Jesus / Wait Till You See Me In My New Home / Softly And Tenderly / In The Garden / It Is No Secret / Kneel At The Cross / Sweet Hour Of Prayer / When They Ring Those Golden Bells / How Beautiful Heaven Must Be / Jesus Savior Pilot Me - (Cecil Blackwood, Bill Shaw, James Blackwood, John Hall & Dave Weston). 1968 LP 12" SKYLITE LP-6068 (US) ALL DAY SINGING ! - Go Right Out / I Love To Be Alone With Jesus / I’ll Be Listening / I’m Winging My Way Back Home / There’s A Little Pine Log Cabin / Won’t We Be Happy / When He Put A Little Sunshine In / Heaven Now Is In View / I’ve Never Been Sorry / Did You Ever Go Sailin’ / Blessed Jesus Loves You Too / All The Day Long - (Cecil Blackwood, Bill Shaw, James Blackwood, London Parris & Dave Weston). 1972 LP 12" RCA VICTOR LSP-4679 (US) L-O-V-E - L-O-V-E / I Should Have Been Crucified / I Just Love My Jesus / Through It All / The Man Of Galilee / Song For The Man / Because He Lives / Talk About Jesus / Praise God Anyhow / I'd Rather Be An Old Time Christian. IT'S WORTH IT ALL - I'll Soon Be Gone / After Calvary / Just A Rose Will Do / When The Roll Is Called Up Yonder / Will You Be Among The Missing / It's Worth It All; At Calvary / Till The Storm Passes By / Lovest Thou Me / The Church's Finest Hour - (James Blackwood, Cecil Blackwood, Jimmy Blackwood, Ken Turner, Bill Shaw, Tommy Fairchild, Billy Blackwood & Larry Davis). 1974 LP 12" RCA CAMDEN ACL1-0428-A(US) THE BLACKWOOD BROTHERS ON TOUR - Crossing Chilly Jordan / Because Of Him / Bell Of Joy Keep Ringing / Because Of The Love Of The Lord For Me / Happy People / When I Stand With God / Some Wonderful Day / Only Believe Him / The Prodigal Son / Dear Jesus Abide With Me / Pablo / The Old Country Church - (Cecil Blackwood, J.D. Sumner, Bill Shaw, James Blackwood & Wally Varner). 1979 LP 12" SKYLITE SLP-6137 (US) Featuring Cecil Blackwood - The Way That He Loves / Wasted Years / I'd Rather Have Jesus / Those Tender Hands / Shady Green Pastures / Born To Serve The Lord / Now I Know Why / He Washed My Eyes With Tears / The Love Of God / The Family Of God - (Cecil Blackwood, James Blackwood, Jimmy Blackwood, Ken Turner, Pat Hoffmaster, Tommy Fairchild, Larry Davis & Billy Blackwood). Live In Cape Coral - I Get Happy / He Bought My Soul At Calvary / Have You Talked To The Man Upstairs / Jesus Is Coming Soon / Learning To Lean / I'll Fly Away / I Want To Be More Like Jesus / How Great Thou Art / He Touched Me / The Lighthouse - (Jimmy Blackwood, Randy Byrd, Brad White & Wayne Little). 01/2009 CD PLATINUM PLUS ? (US) Rock Of Ages - Hymns Of The Faith - Rock Of Ages / Amazing Grace / God Leads Us Along / He Hideth My Soul / I Am Thine, O Lord / In The Garden / To God Be The Glory / It Is Well With My Soul / The Old Rugged Cross / More About Jesus / O Say But I'm Glad - (Jimmy Blackwood, Randy Byrd, Brad White & Wayne Little).